Pretentious Title: The Official Spirit's End Raffle! 1 blog post, and 2 separate Facebook shout-outs. Wheeeee, "Spirit's End"! Oooh I'm so excited! Is it the 20th yet? No? How bout now? I must spam all of the social medias!! Can't wait to read Spirit's End! 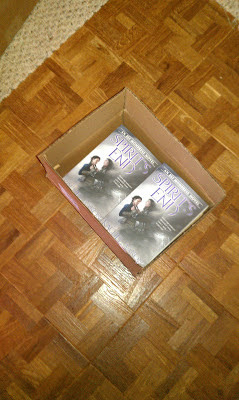 I posted on my blog about SPIRIT'S END on my blog at http://www.eric-christensen.com/2012/11/13/the-eli-monpress-series-is-coming-to-an-end/. I then publicized that blog post on Facebook, Twitter, and Google+. So excited! I pinned it on Pinterest (http://pinterest.com/pin/221239400416091653/) and mentioned it on Facebook (https://www.facebook.com/jbralick/posts/437968609592936)! I posted on my facebook about this! 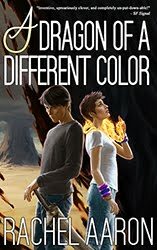 I'm super excited for this book to come out- I've been dying for it since I read Spirit War! I posted about it on my Facebook (www.facebook.com/marci.stevenson/) and I know I'll be posting elsewhere. 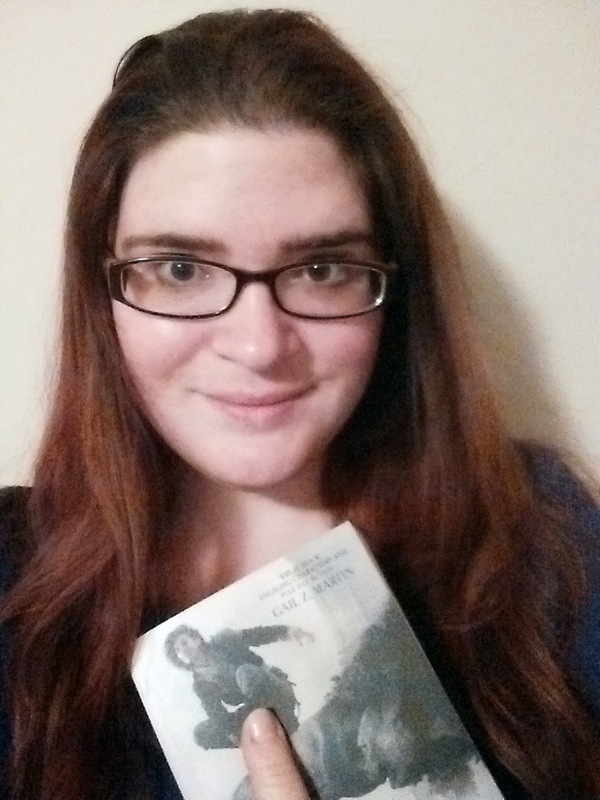 Even if I don't win a signed copy, I think the book is totally worth promoting! Tweeted about it! Woot woot! I have two facebook pages and it is posted on both! I commented about this on my Google+, Facebook and Twitter! I can't wait for the 20th, I'll Kindle it RIGHT AWAY so I can start reading it! Posted it here! :D I've been counting the hours until this book comes out, can't wait! Well, adding to my publicity-izing (I don't like the word publicizing- so sue me) by posting on Twitter (@greysprincess) and tumblr (http://outofgreysmind.tumblr.com/post/35676418480/spirits-end-comes-out-november-20) today. Hopefully tomorrow I'll have time to post on my blog and youtube channel! Well, that's a genereous offer! Thanks a lot! 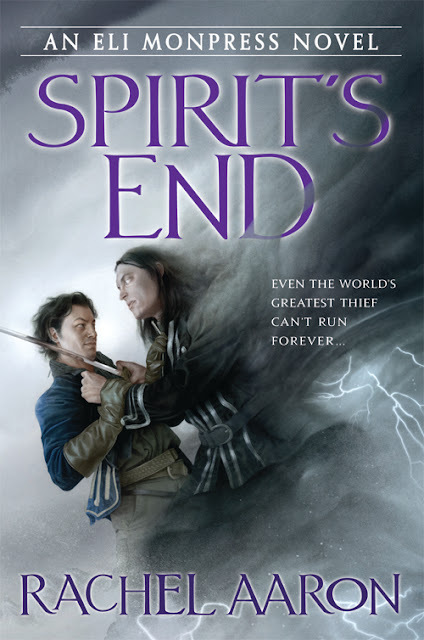 I've talked about Spirit's End on my twitter (@LyraSullyvan) and on my review of the 1st book (that I just closed and really liked) on my French blog (link on my twitter too). Congrats for the release of your book and lots of good reader for it! I retweeted your twitter link! Again, congrats and thank you everyone for participating! Remember: we've still got 6 books and the grand prize left to go, so keep spreading the word! Posted on Twitter, Blogger, and Tumblr! Posted on Facebook and twitter. ^_^ And I wrote up a blog piece entitled The End is Nigh. I shared it on Facebook, and tweeted it! Posted again on Facebook (Kate Sape) and reminded people about it on my blog (www.thelitcrit.blogspot.com). Yeah! 2 more entries for me! I picked up the first three books at a used book store and read them in a week!! I cannot wait for the last book!! Tweeted and posted an announcement about the release on Facebook and Google+ this morning (11/15). Hi Rachel, posted on my Facebook. 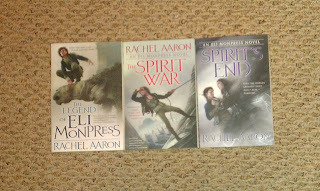 I mentioned Spirit's End on my facebook, tweeted about it, and mentioned it on my blog. Shared your post on facebook (https://www.facebook.com/snapefan4life) and reminded my blog readers to enter (http://thelitcrit.blogspot.com/2012/11/no-pictures-yet-but-theyre-coming.html). Pinned on pinterest (http://pinterest.com/pin/21392166951555417/). Also, I can't wait to read Spirit's End!! Okay. Posting on TWO facebook pages again (both Cindy Clements) today to be added in again. Posted a link and cover pic of Spirit's End on my Facebook! Posted on Twitter as well! Or is that tweeted? Any way . . . it's on there. I put it up on Pinterest as well! Oh, this is so exciting! Posted on FB and pinterest. Have an awesome day!! Posted on Facebook and Pintrest again!I also mentioned it on my fanfiction and deviantart accounts. I shared on my facebook, as well as tweeted it. I posted it on Facebook. Totally legit book series. This is a great series. Thank you for writing it. I'm rather sad that this is the end of Eli Monpress. Posted again 2 times on facebook (Cindy Clements). Have one more chance!!! Going for the Grand Prize! Posted on Twitter, Facebook, my Blog, Pinterest, and Google+. Got my fingers crossed! Last entry and fingers crossed. Posted Amazon link on my FB (Alisa Shelton Russell) and Twitter (AlisaRussellAL).